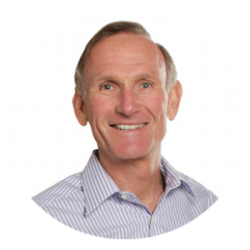 Dr. Kevin Steele has been in the health and fitness industry for the past 30 years. He began his career with a private personal training business for celebrities and athletes while serving as the aquatic director and faculty member in physical education and sports medicine at Pepperdine University. During this period, he also worked with a local physician specializing in preventive executive healthcare programs for corporations throughout the United States. Dr. Steele was then recruited by Health & Tennis Corporation of America, the world’s largest health club organization at the time, as the director of education, research, and member services where he managed the fitness department and launched the first national platform for personal training. After Health and Tennis Corporation, he joined 24 Hour Fitness initially as the vice president of health services/corporate sales where he managed the fitness department, integrated health care into the clubs and developed 24 Hour Fitness University. Later, he became vice president of sports marketing, managing all of the professional, collegiate and Olympic sports relationships for 24 Hour Fitness. Steele then served as the vice president of research and business development for Life Time Fitness where he orchestrated the launch of the Life Time Fitness Triathlon Series. Kevin also served as the vice president of education and programs for Mad Dogg Athletics. Currently, he is President of PTA Global and PTontheNet, and a principal with Communication Consultants, WBS, INC., providing high-quality consulting and training for the health and fitness Industry worldwide.